How to integrate Zopim chat widget with the website? This service is provided by a third party company. We don’t take any responsibility for any changes in how this service operates or works. Any issue with this service you need to discuss directly to company which provide it. 1. Create new Zopim account or use an existing one. 2. 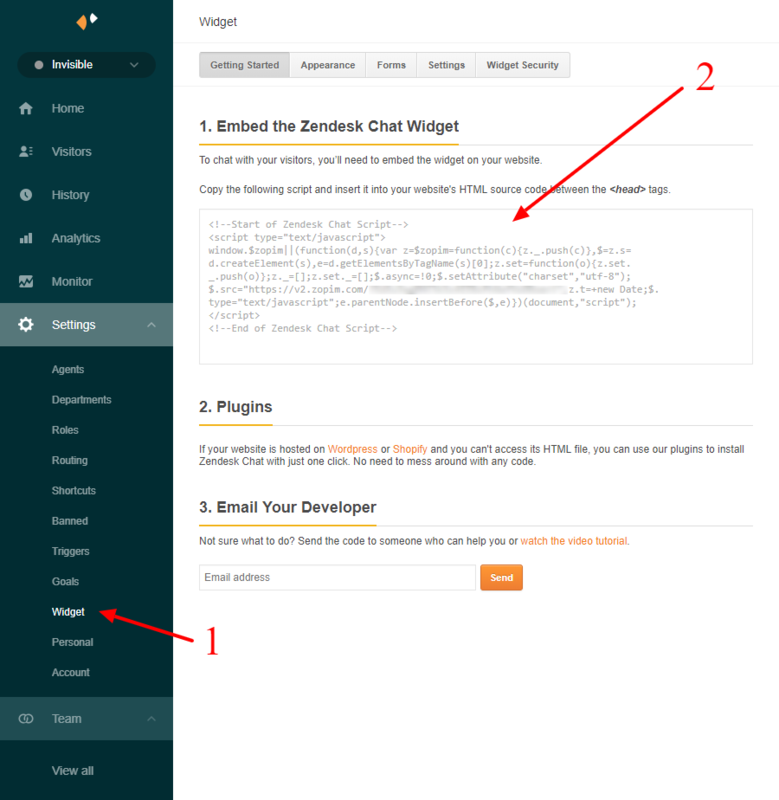 Login to your Zopim account and navigate to Settings -> Widget, copy the HTML widget code (see the screenshot below). 3. 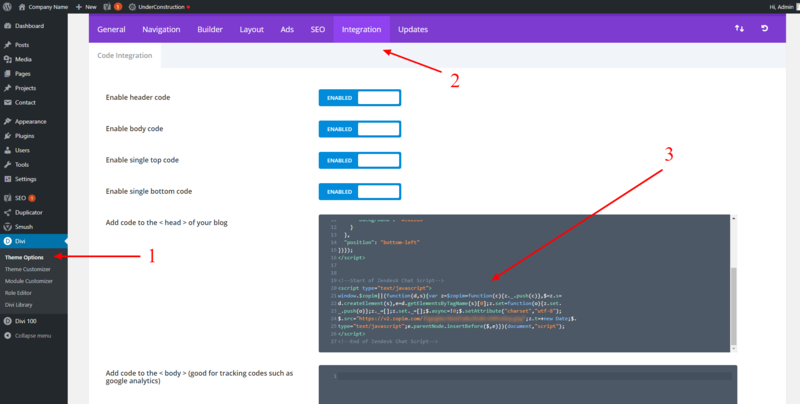 Now login to your website backend and navigate to Divi (sidebar menu) -> Theme Options -> Integration (tab) -> Add code to <head> of your blog (field). 5. Paste in copied code from step 2 and save all settings (see the screenshot below). 6. That’s all, the chat widget should now appear on your homepage.